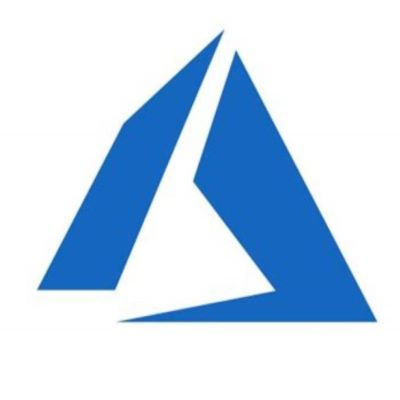 Azure Kubernetes Service brings a world class managed kubernetes service to the cloud. Customers can now leverage the power of Kubernetes platform without having to worry about managing the control plane. As a result of that, customers are now able to embark on the containerization journey with confidence. In this blog post, we will see how Visual Studio makes it easy to collaborate with AKS using Azure Dev Spaces. DevOps uses Agile principles and combines infrastructure, development, QA, and operations engineers together through the entire cycle of software development, deployment, and support, eliminating many of the silos between teams. Most importantly, DevOps improves communication and enables better collaboration, helping enterprises to bring products and innovation to market much more rapidly. One of the best practices with containers is not to persist data inside the containers for long term as containers are ephermal. These containers can be removed and rebuilt very often and may require storage that persists across pods beyond the application lifecycle. In this blog post, we will learn about how to create Persistent Volumes in AKS with Azure Files. I love to learn about new technologies. You install the product, grab a few samples, pour over blogs & documentation and away you go. I have found over the years as systems have gotten more complex its harder to explore new products. Sure you can install them, VMs have even made that quick, you don’t even have to install. But to truly explore you really need the data. Even worse, a lot of the time the samples are just a small subset of the scenario and require a lot of work to go beyond the basics. But the Azure DevOps team has put together a great program with dive in, enter Azure DevOps Hands-On Labs. The underpinnings of quantum computing (QC) is quantum mechanics. Unfortunately, quantum mechanics is very weird and hard to understand. Most articles on QC are of the pop science variety and introductions to QC are usually heavy on mathematics (linear algebra). I want to do something different. I want to explain QC using the language of software development. 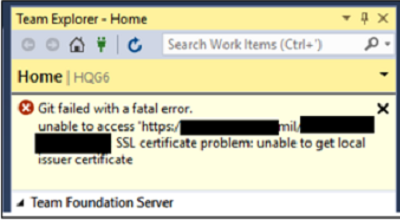 The most recent problem revolves around Git 4 Windows (Or any other Git client) and certificate revocation checking against Team Foundation Server (Or other source control) secured with a .mil URL, or any URL secured with a Department of Defense (DoD) signed certificate. Azure DevTest Lab is a SaaS offering by Microsoft that empowers development team to stand up a fully functional dev/test environment in a matter of minutes. 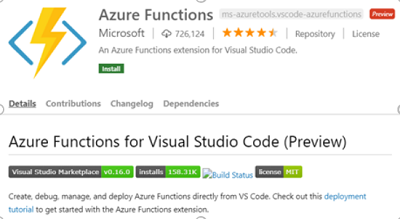 Check out the documentation and quick-start tutorial on how to get started today! As customers continue to have more applications deployed in Azure, it’s common that data from those on-premises applications has to be shared with the new cloud applications or vise-versa. A simple batched methodology may be suitable for table data that is rarely updated, but for data that changes frequently, this may introduce an unacceptably high latency and undermine any data concurrency, expected by the business users. One of the limitations of SQL Azure database is that it can’t support a SQL agent, so replication, while possible from on-premises to the cloud, is not available in the opposite direction. One solution is the use of the relatively new Azure SQL Database Managed Instance, SQL MI, that allows replication from the cloud replicated back to an on-premises SQL database. 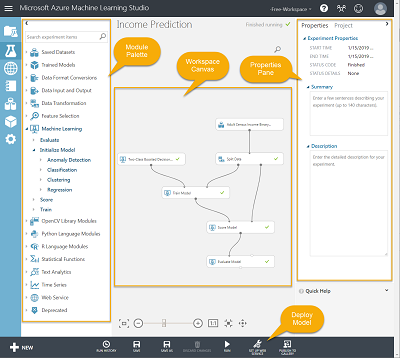 From the ready-to-consume set of Azure Cognitive Services to the comprehensive set of tools for data scientists available in Azure Machine Learning Service, there are many ways to apply AI into your products and services. Microsoft’s vision is to democratize AI and make it accessible and valuable to everyone. Join us to learn how to start building intelligence into your solutions with the Microsoft AI platform, including pre-trained AI services like Cognitive Services and Bot Framework, as well as deep learning tools like Azure Machine Learning. In this post, Consultant/App. Dev. Manager Timothy Baillis explains how AI and Bots can improve modern UI designs. It has been said that every great developer is inherently lazy- or at least inspired by boring or repetitive tasks. The idea that you can code a program to automate a task or overcome an obstacle is a powerful incentive to create. Is Your Development Staff Ready for Artificial Intelligence? In this post, Principal Consultant/ADM Larry Duff discuss some ethical challenges in Artificial Intelligence. Ever wondered how to integrate speech and AI into your application? It’s easy with this tutorial from Premier Developer consultants Adel Ghabboun and Kunal Sinha! Senior Application Development Manager, Justin Scott, launched a new podcast this month you will want to check out. AI exposed looks at the world of Artificial Intelligence– discussing some of the latest trends, interviewing industry experts, and having fun in the process. Depending on what version of TFS you intend to migrate and what features you are using, there are a few things that in my opinion are “major” considerations because they have the potential of adding scope to your migration efforts. While you will find out about them as you read through the official migration guide, I believe there is value to knowing these things prior to embarking in such journey. The reason for this post is to help customers realize how to satisfy the CFR – Code of Federal Regulations, Title 21, PART 11 ELECTRONIC RECORDS; ELECTRONIC SIGNATURES requirements with Team Foundation Server, Azure DevOps Service and Azure DevOps Server. I was working on a DevOps scenario that involved automating the deployment of batch process files from one server to one or more other servers. To accomplish this, I created a build pipeline to collect certain files from the staging location and store them as Build Artifacts. I then created a release pipeline to ask for deployment approval and then deploy the build artifacts to servers in other environments. Azure Lab services is a quick and easy way to manage environments for your team in the cloud. It is versatile enough to set up development environments, testing and even classroom lab environments. The service handles all the infrastructure, user management, and now scheduling when the lab is available. The ability to stop a lab VM has been around for some time, but the ability to schedule when a VM starts, how long it remains up and then when it is to shut down recently became available. Prior to Team Foundation Server (TFS) 2017, moving or cloning of a TFS instance required manual preparation and configuration of existing instance’s backups. You can now configure your restored databases completely through the application tier. This blog walks through the new process to demonstrate how to restore and configure an instance of TFS to new hardware. 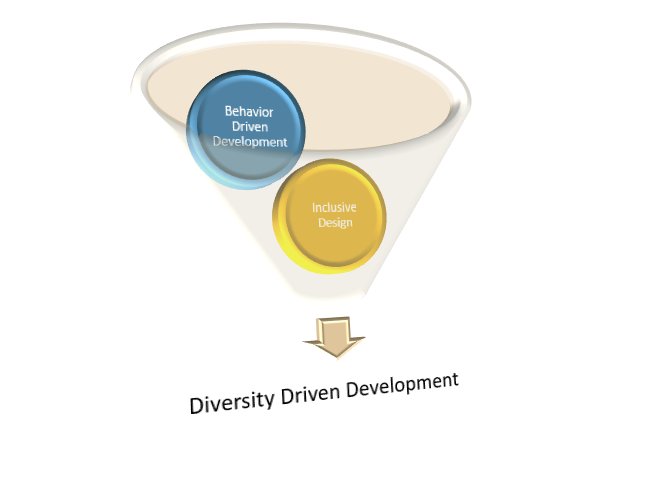 This article is part 2 of DevOps and Culture. See part 1 here. In this entry I’ll discuss how we can think of culture in a systematic way and how we can change it. Peter Drucker famously said, “Culture eats strategy for breakfast.” This is a great introduction to how we think about DevOps and in this article, I’m going to unpack this statement so that we have a bit more context. 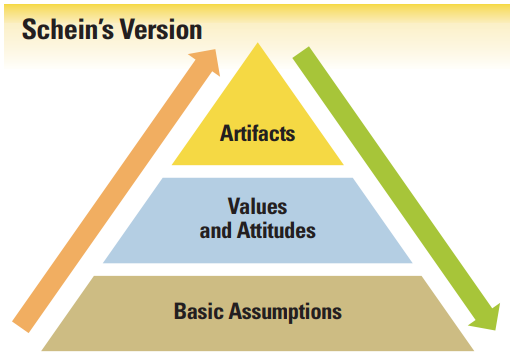 This is the first part of multiple articles on culture as it relates to DevOps. This project simplifies the setup of a SonarQube server to one step. Simply click the Deploy to Azure link on the project homepage and follow the simple walkthrough to have resources deployed out and configured. In an agile development environment, there may be partially completed features or features with external dependencies that are not ready. Instead of relying on multiple code branches, instead you may opt for deploying code with a feature turned off. Later, that feature should be turned on via a configuration or database change. This post provides sample code that you can use to implement feature flags in your Angular app. This is an update post to a previous article published in April 2017 explaining how to wrap ADAL.js with Angular2+. The previous article is no longer relevant given the changes to the Angular framework. This new post explains a reimplementation which uses the PathLocationStrategy and Angular features such as HttpInterceptor and InjectionToken. Laurie Atkinson, Premier Developer Consultant, shows us how to customize the behavior of an Angular app based on the user’s permissions. This includes page navigation, hiding and disabling of UI elements, and generation of menus. Applications often include requirements to customize their appearance and behavior based on the user’s role or permission. The Angular-CLI is the recommended way to build a production-ready app, complete with bundling, uglifying, and tree-shaking. An Angular-CLI generated application even comes with a mechanism for creating environment-specific versions. However, those configuration files are in TypeScript and do not allow editing by IT staff or automated deployment tools such as VSTS. This post provides the steps and code samples for using a JSON configuration file, which can be customized for multiple environments. Laurie Atkinson, Premier Developer Senior Consultant, A few tweaks are necessary to take an Angular app and move it to IIS. Here is a list of changes required to get everything running smoothly. Using the Angular-CLI to generate an Angular SPA is an excellent way to scaffold out a well-organized application. Application Insights is an Azure service for monitoring web applications. It includes analytics tools to help you understand application usage and to diagnose issues with the goal of continuously improving performance and usability. This post from Senior Premier Developer Consultant Laurie Atkinson gives you a step-by-step guide to getting started with Angular development. Follow these steps to get up and running with an Angular application including source control, editor tooling, and essential commands. 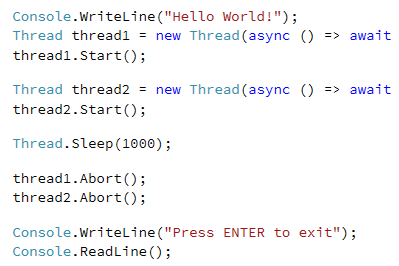 When you write multi-threaded code, it’s important to be aware of whether the code in other libraries you call into is also thread-safe. By my observation, most code written is not thread-safe. So if you’re writing thread-safe code, kudos to you. 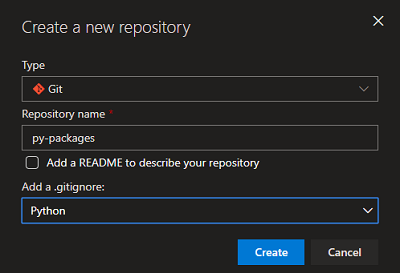 In a previous post I discussed an approach to handling backend redundancy using Azure API Manager (APIM). In this post I want to discuss the various options for providing a high-availability (HA) and disaster recovery (DR) to your services exposed by API Manager. can be used to test for connectivity – if true, you are connected, false not so much. A common scenario is to check the result of this function in an OnSelect formula. 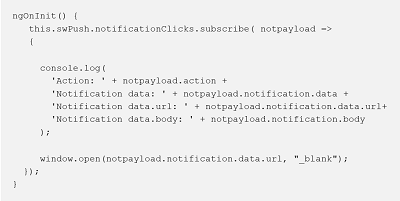 If connected, write or submit to a live data source, if disconnected, write to local collection for submittal later. Over the course of the next 3 blog posts in my Dynamics 365 implementation series, I will go over the process and experiences my client had with implementing an ERP solution for their 50 year old, multi-billion dollar company. This first post will explain the implementation process used for this successful rollout of Dynamics 365. One of the challenges was figuring out a way to get the commercial software installed and configured on the virtual machines in a completely automated fashion, which is where Azure Automation DSC fit into the solution. DSC or Desired State Configuration is not a new concept, but I recently learned that Azure Automation can be used as a DSC pull server that hosts your DSC configurations and resources in a convenient location. Compliance, Auditors, and Documentation Oh My! Azure Trust Center should be your first destination for our compliance offerings. Did you know independent audit reports along with Azure compliance offerings can be found there? 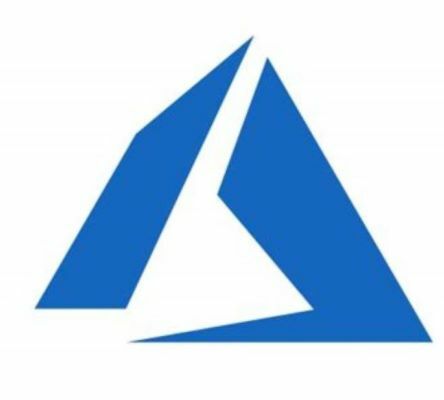 This documentation is a free, but protected resource for those that utilize Microsoft cloud services (Azure, Office 365, Dynamics 365, etc.). Compliance documentation for HITrust, HIPPA/HITECH, FedRAMP, CSA CCM and many others are stored here. Programs, like FIRST, are important because they are creating the next generation of leaders and doers. Through the programs, the kids learn to work together to make the world a better place. If I can make a difference with just one kid, then I feel I have accomplished my goal of helping shape our future leaders make the world a better place. In this post, App Dev Manager Shany Wiesel explains the different deployment models for Apache Cassandra on Azure. Microsoft Azure is an open cloud platform that runs both Microsoft as well as non-Microsoft software which includes operating systems, application servers, messaging middleware as well as SQL and NoSQL databases from both commercial and open source models. While on-premises, most applications did not take advantage of securing communications to the database on the wire just because of the inherent isolation advantages of having the application ONLY on the internal LAN. However, as more and more of these applications start moving to the cloud, the security of data over the wire is rightfully starting to gain increased importance. While Cosmos DB offloads many of the hard NoSQL scaling problems, shaping your data and choosing a logical partition key are left to you. The partition key choice is arguably the most important decision you’ll need to make – it cannot be changed and must be determined upon creation of a collection. My customers have spent some time working with Azure Cosmos DB and had questions around pricing. I thought I would share a bit of what I have learned when it comes to pricing for Cosmos DB for this BLOG article. 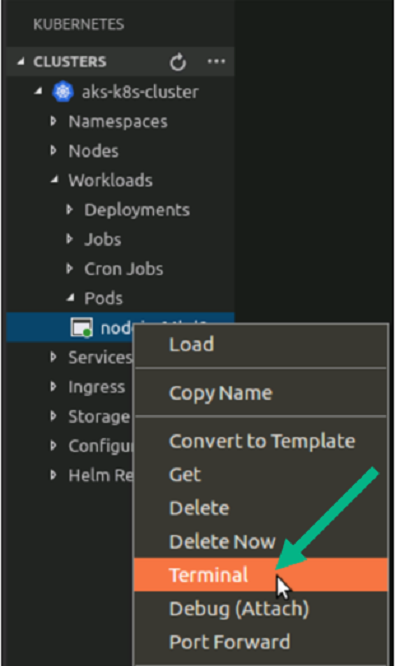 Dev Consultant Julien Oudot demonstrates how to automate the testing of a data layer in ASP.NET Core WEB API with Cosmos DB. This post is provided by Premier Field Engineer JJ Jacob who takes a look at the benefits of SQL Server Objects as software artifacts. A recent customer engagement revealed several pain-points. One of them is the issue of not being able to pinpoint the exact database schema the development team delivered to the production team. In this post, Senior Application Development Manager, Alexei Govorine, demonstrates how to use SQL JOIN and MAX in a query. How to join two SQL tables and display the latest results. Recently a customer has asked me to help them with a query design. I was recently working with one of my customers to help them improve the usability of their applications as mandated by their IT staff. The goal was to create quality web applications that can be equally useful to all users including those with disabilities. Together, we reviewed many good tools and potential best practices, but we wanted something that would specifically run as part of the application release process. What I wanted to accomplish here was simply to create a redistributable Python package. Also show some of the practices on how to work with Python in a Windows environment, but I could not stop there. I went ahead and built a complete CI/CD pipeline for the package, showing how easy it is and how well Python projects integrate with Azure DevOps. Build a Boot web project, create a Dockerfile, build a Docker image, then run it in Docker. VS Code can really be the platform of choice to benefit from the best features. Furthermore, its cross platform support allow users to have the same customer experience on multiple platforms (Windows, Linux and Mac OS). Why is it that some organizations, though they may invest great expense in tools, process development, and rigor, fail to obtain the transformation and benefits other organizations have so greatly experienced? ADM’s Bill Bevan, Marty Donovan, Russ Clark, Joseph Flanigen, joined Garrett Jacobs (Services Market Strategy Director) representing Premier Developer @ BUILD 2017. With another exciting Microsoft Build conference coming to a close, we’re inspired for the future, working with our partners on innovative solutions impacting the world. In this post, Senior Application Development Manager, Neal Champion shares an overview of the UK Dev Briefing Day. This annual event typically runs in the spring of each year, covering up-to-date presentations on the latest tools and development capabilities for the Microsoft platform. The inherent nature of the cloud is that there can be momentary loss of network connectivity, temporary loss of service, and timeouts that can occur for a variety of reasons. By designing your application to handle these types of events gracefully, you can improve availability and minimize impact from transient events. In this post, App Dev Manager, Robert Schumann shows how to get started with Windows 10 IoT Core with Raspberry Bi 3 B+. Jumping right in, let’s get a few matters out of the way upfront. Topics covered should take about 30 minutes to complete provided everything you need is readily available. This is going to be an IoT solution, which receives data from connected devices, stores the data and makes it available for consumption by a holographic or mobile application. So, you will first learn to set up the backend infrastructure--where you will have a device--which connects with a Cloud Gateway. Data received by the Cloud Gateway is stored within persistent storage, and finally, this data will be made available to a Holographic or Mobile app through Web APIs. Easy as Pi IoT on Windows 10 and Azure IoT Central! Have you ever tried building an IoT solution on an embedded device like a Raspberry Pi with an ARM processor? What languages did you have to use? What if that device had to send data to the cloud for dashboarding and alerting? How would you build the dashboard and manage alerts for authorized users? In the fourth post of his series, Premier Developer Consultant Steve St Jean expands on how Azure IoT helped him buy a new home. He goes into detail about how to configure within the Azure IoT Hub. In the third post of his series, Premier Developer Consultant Steve St Jean expands on how Azure IoT helped him buy a new home. He goes into detail about writing the code for the sensor rig to send telemetry data to Azure IoT Hub. In the second post of his series, Premier Developer Consultant Steve St Jean expands on how Azure IoT helped him buy a new home. He goes into detail about developing the IoT sensor rig. Premier Developer Consultant, Steve St Jean, shares a personal story on how he used Azure IoT to figure out a solution to a problem that many of us face – high electric bills. In the series, Steve shares the process and code that he used to implement this solution. It’s no secret that you can run a local version of Kubernetes on Docker Desktop for Windows, however, getting the Dashboard installed and configured correctly can be challenging. The problem is that the default installation requires you to manage an admin user and copy that user's bearer token into the portal to login. This is the second post in a multi-part blog series on Kubernetes DevOps using Azure. I am co-authoring this series with the help of my colleague at Microsoft, Daniel Selman. We recently worked on K8s project together and thought to share out learnings. In the last post, you get to know the application that going to be deployed in the Kubernetes cluster. 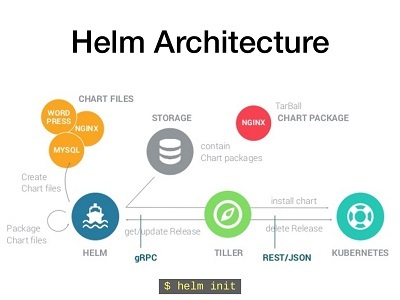 In this post, you will learn about the tool called “Helm”. This is the first post in a multi part blog series on Kubernetes DevOps using Azure. I am co-authoring this series with the help of my colleague at Microsoft, Daniel Selman. We recently worked on K8s project together and thought to share out learnings. I was recently working on a PWA application that utilizes SSO and one odd behavior that I noticed right off the bat was the fact that the SSO redirects forces the application to open a new window inside the browser instead of carrying the redirect inside the application shell. This is problematic as it defies the whole purpose of a PWA which attempts to make a web application feel native. In a recent post from his blog, Premier Developer Consultant Jim Blizzard shows how to navigate past some of the issues when setting up VSTS builds for a multi-project Xamarin.Forms solution. The other day I wanted to create a DevOps CI / CD pipeline for a simple Xamarin.Forms app that I’d created. Global resources in Xamarin Forms! No App.xaml? Create one! In a recent post from his blog, Premier Developer Consultant Joe Healy shows us how to create global resources in Xamarin Forms. Xaml developers moving to Xamarin Forms are hoping to take some of their good habits from the Windows (WPF/Silverlight/UWP) dev world with them (probably a few of their bad ones as well but we don’t want to talk about those). In this blog post, Application Development Managers, Derrick Sharpe and Justin Wendlandt, highlight the many options to maximize development productivity across a range of mobile platforms, including Windows 10, Windows Phone, iOS, Android, and more. Contrary to popular belief, the Windows Phone application development landscape is not dead. In this post, Senior App Dev Manager Keith Beller walks use through Blazor, a new experimental framework for WebAssembly. 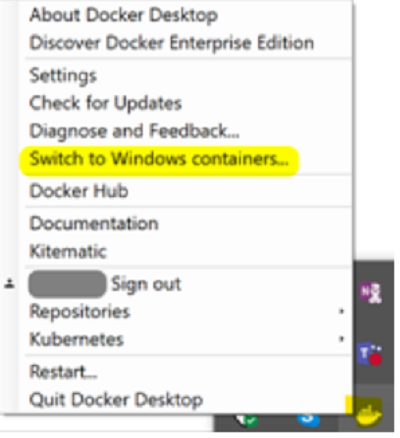 App Dev Managers Anand Shukla and Sash Kavalaparambil provide step by step instruction to run a .NET Core Web Application in Docker container using Docker Desktop for Windows. I was recently engaged in a customer proof of concept scenario where they needed to turn their knowledgebase articles, FAQ’s and other company data into an interactive bot. For our scenario, we created a QnA Maker service that pulled HR information from a backend database so users can ask common questions in a conversational way instead of wasting time searching and scrolling through content. I have been a developer for over 10 years, and I am always looking at new ways to be more productive. May I present you with 6 tips that I have started to adopt that I think have increased my developer skills 1000% (YMMV). Using async methods/lambdas where they are not expected causes unexpected problems. The typical example I discuss with people is TaskFactory.StartNew() because its an easy way to create Tasks and some people reach for that instead of Task.Run(), but I recently came across some code hitting the same problem while creating threads the traditional way. The .NET BotBuilder SDK has deprecated the StateClient class, leaving some to wonder how they should access their bot’s state. Premier Developer Consultant Ben Williams shares an example of using dependency injection in your BotFramework projects. In this post, App Dev Managers Robert Schumann and Ben Hlaban, introduce us to Blazor – an experimental web UI framework based on C#, Razor, and HTML that runs in the browser via WebAssembly. This journey started from a blog by Daniel Roth. Application Development Manage Isaac Levin recently posted this article on building extensions for Application Insights. In this post, he demonstrates how to capture additional HTTP metadata using custom telemetry Initializers for Application Insights. I will start off by saying I love Application Insights. In Part 3 of this 3 part series, App Dev Manager, Herald Gjura describes how to incorporate these libraries into an existing .NET application. Performance (aka. Perfmon) Counters are critical to understanding the health of and diagnosing issues on Windows. In recent performance and scalability testing of a solution built on top of Azure Service Fabric, we collected Perfmon Counters across 15 VMs and sent them to Log Analytics. This was very helpful; however, there were times when we wanted them to be real time. Do I need to add more servers if my user load grows by 10% each month for the next 12 months? That is a hard question to answer. Unless you have an Application Platform Management solution, it is hard to correlate function calls to CPU time and response times. With this little tidbit of information, we were able to write a powershell script that iterates through a given folder recursively and identifies executables that are dependent on VS Isolated Shell. Want to be an ADM? Helping customers to be successful is at our core. Our mission is to ”Empower every person and every organization on the planet to achieve more”, and we do that by being customer-obsessed. As an ADM, I’ve had the pleasure of working with customers who challenge me every day with questions that test my knowledge and experience, my ability to learn, my ability to research, and almost paramount, my ability to network amongst the vast expert resources in our consulting, support engineering, and product management teams. Support Escalation Engineer Dan Bagley and App Dev Manager David Huang break down the support options for client-side Exchange ActiveSync development. In this post, Principal Consultant Jon Guerin lays out the benefits of Azure Event Management (AEM) and how to get started with the program. Deploying an application to Azure in support of a high-profile business event can have many advantages. But failing to assess up front potential gaps that could negatively affect performance and availability during the event and can result in an undesirable impact to the company’s topline. 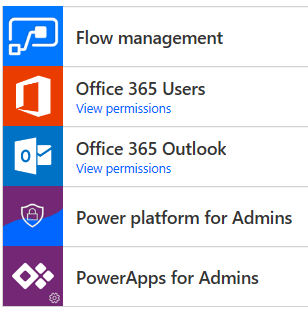 In this post, Premier Dev Consultant Marius Rochon considers scenarios where an application needs to be accessed by users from many sources of authentication (Office 365, owned and operated by Microsoft but whose use is managed separately by many independent organizations is an example of such a resource). It proposes a framework for determining an optimal solution for the application using Azure AD. Azure Storage Encryption and Azure Disk Encryption – Demystified? In this post, Sr. App Dev Manager Mark Pazicni lays out the capabilities of Azure Storage Service Encryption (SSE) and Azure Disk Encryption (ADE) to help clarify their applications. With Azure Storage Service Encryption (SSE), your data is just encrypted. New and existing Azure Storage Account are now 256-bit AES encrypted to storage data encrypted while it is at rest. Senior Consultant Omar Amin recently posted this article on securing a physical data center. In this post, he highlights roles and responsibility on security across various hosting options. I don’t spend a lot of time talking to customers about physical data center security. This post is provided by App Dev Managers Latha Natarajan and Sujith Nair who explore the critical aspect of protecting personal information and the impact of data security failures. This post also discusses the rich set Azure services that Microsoft customers and organizations can use to protect personal data in compliance with GDPR and other regulations for various parts of the world. In this post, Premier Developer consultant Lizet Pena De Sola explains Role Based Access Control in ASP.NET MVC. Role Based Access Control in MVC is pretty straight forward. There is also a way to do claims access control, but the most common way is based on roles. This post on authentication and authorization is from Premier Developer consultant Marius Rochon. Claims list included in the ClaimsPrincipal usually originate from the security token received by the application as part of user authentication (SAML, OpenIDConnect id token) or access authorization (OAuth2 bearer access token). Should you obfuscate your Xamarin app? This blog on securing your source code is from Premier Developer consultant Bill Reiss. I saw a question recently about how to protect code in a Xamarin app package. I feel the first question is whether you need to, and not how to do it. Premier Developer Consultant Adel Ghabboun explorers how to setup alert notification email using Azure monitoring. One feature was removed in Application Insights called Scheduled Analytics, and now it is replaced with Custom Log Search which allows us to create an Alerts based on data analytics queries. 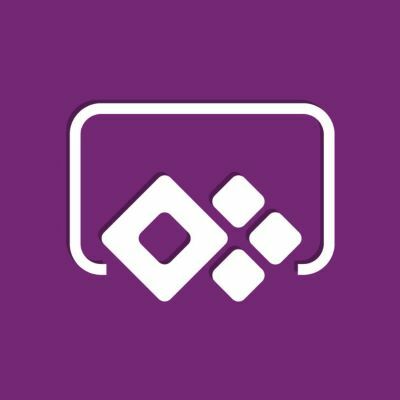 Both Flow and PowerApps are great tools that can be in the hands of business and power users to accelerate the building of automated workflows and business apps across on-premise and the cloud services. It’s easy to see how there could be many such Flows and Apps built, deployed and running within your tenant. It’s a best practice for the IT administrators to devise a monitoring strategy in place that could proactively keep a watch on these Flows, Apps and other related resources and alert and perform remediation actions as necessary. Anyone who has ever passed at least one of the Microsoft certification exams has a Microsoft Certified Professional (MCP) profile created with an ID (MCID) generated. 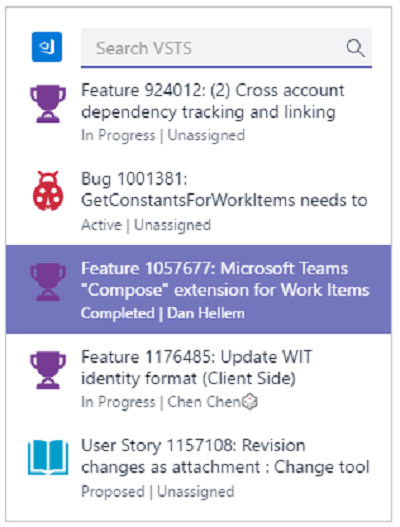 This profile is now part of the Microsoft Learning platform that allows a person to track all activities related to certification accomplishments, both active and past. As a Microsoft employee who works with customers and a cloud enthusiast, I see it essential to be knowledgeable of how the cloud can bring the best value to the developer. Because of this, I am taking the AZ 203 exam, which is titled “Developing Solutions for Microsoft Azure”. This exam was in beta for some time and was recently released proper in January 2019. Developers used to the Microsoft certification world will see this exam as a replacement for 70-532, which is the older iteration of Azure technology geared for developers. Passing this exam will reward developers with the “Microsoft Certified Azure Developer Associate” certification. Going forward, most Microsoft certifications are moving to a job-role based (great take by Chris Pietschmann at Build Azure) approach, which in my opinion is a good move, as it allows folks to focus on passing exams that contain content that will directly be used on the job. Are you interested in learning about DevOps and the newest advances in technology? Do you want to challenge your development perspectives and current practices? Read this post from Premier Developer Consultant Brian Blackman to find an upcoming conference for you and your team to attend. Interested in upping your online presentation game? Looking for some tips to engage your audience on Skype calls? Read this post by Premier Developer Consultant Daisy Chaussee to learn how. Today’s modern, virtual world relies on the ability to deliver content remotely. This post is provided by Senior ADM, Jason Giordano, who spotlights our DebugDiag workshop available to Premier Support customers. If you have ever engaged Microsoft to assist with an application hang or crash, chances are, DebugDiag was used at some point. 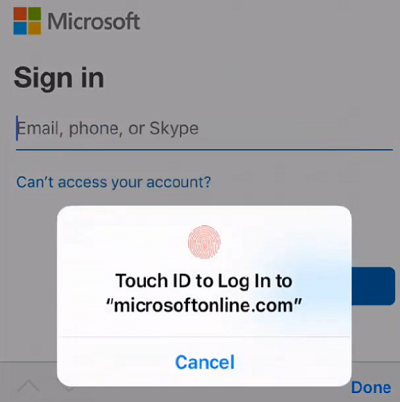 The following describes an approach for getting access tokens to more than one resource, without re-displaying the sign in dialog (using the V2 Azure AD endpoint). This example illustrates why building a better UI and caring about how your end users is so valuable. Not only can it improve their experience, but it can also save your business time and money. One thing that I’ve heard more than a few times while working in UX is that you can’t put a price on look and feel. Personally, I want to clear the air right now and say you absolutely can. It’s not hard, but it does require narrowing your focus to a particular workflow. When I first joined the Premier team here at Microsoft, a lot of the work I initially did for our customers was just that – advisory front-end design work. 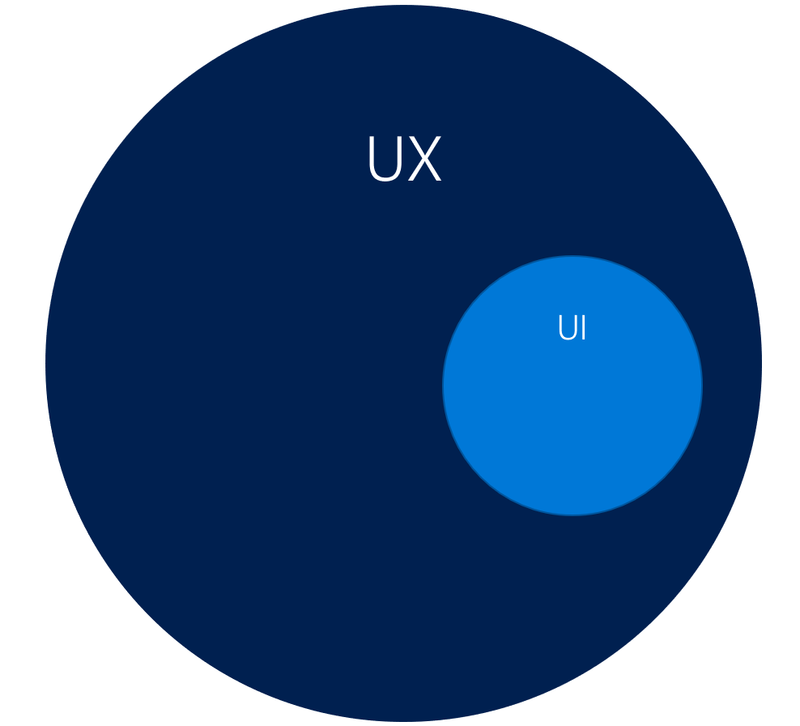 After many discussions about how I can provide value to our customers, I started to realize that even though words likes User Experience and User Centered Design are starting to be thrown out more and more in development, very few people have a full grasp of what exactly User Experience is. My first experience matched many of experiences I remember mentioned in the books I read. At first, paired programming was extremely intimidating. I had to pair with an extremely seasoned developer thinking that I was about to be proved that I was not as smart as I thought I was – see Imposter Syndrome. Well, I learned many lessons from this developer by pairing with him. And in the end the developer learned quite a bit from me. It's all about the people. The resistance to change is human nature. Leaders and team members alike. Assessing the team is simple. If they can demonstrate an openness to changing how they do things you are on track. If team conversations consist of why things must continue to be done the way they are being done success will be a challenge. But leadership is the real key. Effective change is a collaborative process and management's primary team facing role is keeping the team within the agreed upon boundaries. But of equal importance is securing and managing executive sponsorship. The team is pushing hard against their own instincts for the betterment of the organization. The organization must support them and insulate them from organizational winds that look to disrupt their efforts. In this post, App Dev Manager Ed Tovsen spotlight the features and benefits of Code Maps in Visual Studio. Systems architects have long used modeling to design the structure, behavior, and interaction of systems within an organization. Modeling helps to ensure that requirements are clearly defined between users and IT. ASP Core uses the convenient Provider Pattern to load configuration key/value pairs from various sources and expose those to you as a single Configuration object. This allows you to grab a configuration key like ConnectionString with one line of code regardless of where it was sourced from. 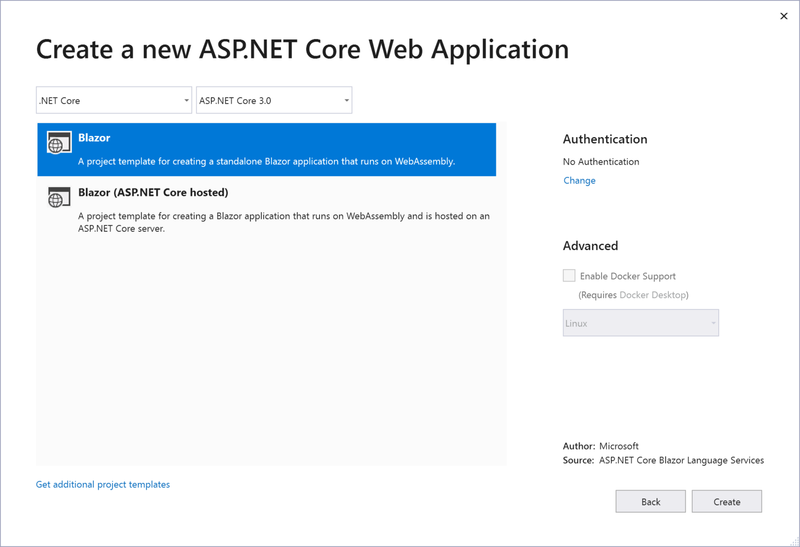 However, the configuration API is not available by default in .NET Core Console applications. 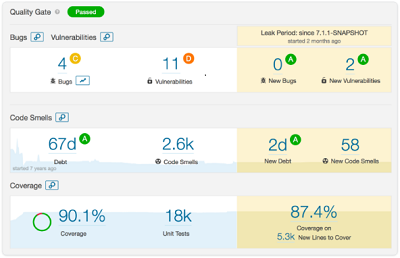 In the second part of her SonarQube series, Premier Developer Consultant Sana Noorani builds on top of SonarQube technology and explains how SonarLint can be added in Visual Studio to track real time code quality. SonarLint an extension you can add to an IDE such as Visual Studio that can provide developers real-time feedback on the quality of the code. In this post, Application Development Manager, Vijetha Marinagammanavar, demonstrates how to get started with Azure App Services. To get started with Azure development we need to have Visual Studio 2013 or later, Azure SDK, and an active Azure subscription. We are using Visual Studio 2017 with our demo. The Food Truck Paradigm : Why should I trust open source software? In this post, App Dev Manager Daniel Setlock reflects on the trust of open source software using the Food Truck Paradigm. This post from Premier Developer consultant Crystal Tenn walks you through customizing Visual Studio to work better for you and your organization. I like tools that make my development faster and more organized. The small amount of time it takes to invest in installing and learning these tools pays off in the long run! Enterprise organizations today have numerous simple CRUD based applications that call for modernization without necessarily needing to re-architect the legacy apps. If you have an existing .NET app that could use CI/CD but not necessarily any immediate rearchitecting efforts, this blog is for you. When running IIS in a Windows Container, you configure it using PowerShell commands in your Dockerfile. While determining the correct PowerShell commands is not a difficult process it is inconvenient to verify the settings using the command line only. 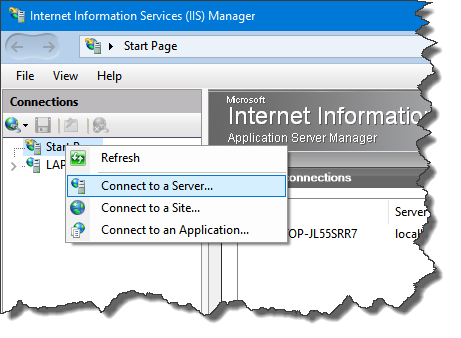 Sometimes, you just need a UI to quickly view and manage your IIS configuration. I work with a lot of enterprise customers that have sizable portfolios of Intranet web sites using Web Forms and Windows Integrated Authentication that they would like to move to Azure PaaS; however, we’ve found that a lot of documentation on these topics doesn’t extend back to Web Forms and instead targets .NET Core and MVC. App Dev Manager Vijetha Marinagammanavar provides a walk-through of setting up IIS on a Windows Virtual machine hosted in Azure. Until recently Angular supported SwPush class which allowed PWA capable applications to subscribe and listen to push notifications from the Service Worker. Here is an example where I am subscribing to clicking on the notification card which will redirect the user to my blog. Also notice that you also have access to the action that triggered the click. So you can wire your code to react differently to different actions.